I had a scratch happy cat once - it gave my furniture a distinctive, rustic look only a cat could love. Purchase price: $1,800. Trip to the dump: $15. Short story: I couldn’t give that couch away. 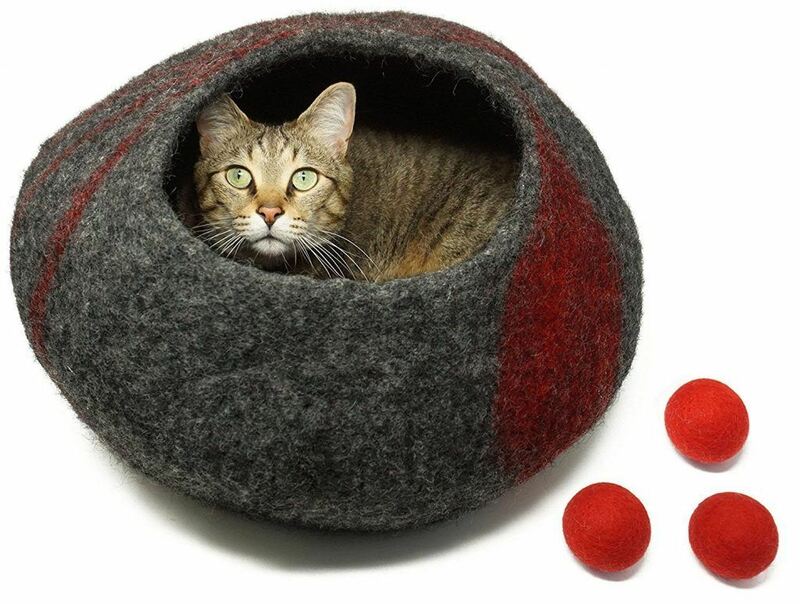 The good news is that you don’t have to invest in an $1,800 scratching post. Unless, of course, you like the rustic cat-scratched look. If you’re not into cat-scratch chic, continue reading to learn about the benefits of having a cat scratching post for your cat. Scratching helps your cat to remove old, dead claw material, keeping its claws sharp and healthy. By providing a scratching post for your cat, you help your cat maintain optimal claw health. When a cat scratches, it stretches out, exercising and toning its muscles. This activity helps your cat stay healthy, strong, and flexible. Your cat marks its territory by scratching. It will treat the scratching post as its own territory by scratching on it. This tells your cat’s way of telling your other pets to enter at their own risk. Each cat has scent glands in its paws. In a household with multiple cats, scratching establishes social ranking. Cats love to scratch for the sheer pleasure of it. A cat scratching post will provide an approved place for your cat to scratch to its heart’s content. Now that we know the benefits of having a cat scratching post, let’s take a look at how the best scratching post for your cat will be determined. What each cat scratching post is made of. If it ships fully assembled or requires some assembly. How well it will hold up under normal use. With these criteria in mind, it’s time to get scratchin’ and dig into those reviews! This is a real solid post measuring in at 32 inches tall, and featuring a 16 x 16-inch base. Weighing in at over 17 lbs, this post isn’t going anywhere, unless your cat is a linebacker for the New England Patriots. The 32-inch height allows your cat to stretch out, promoting flexibility and healthy muscle tone. 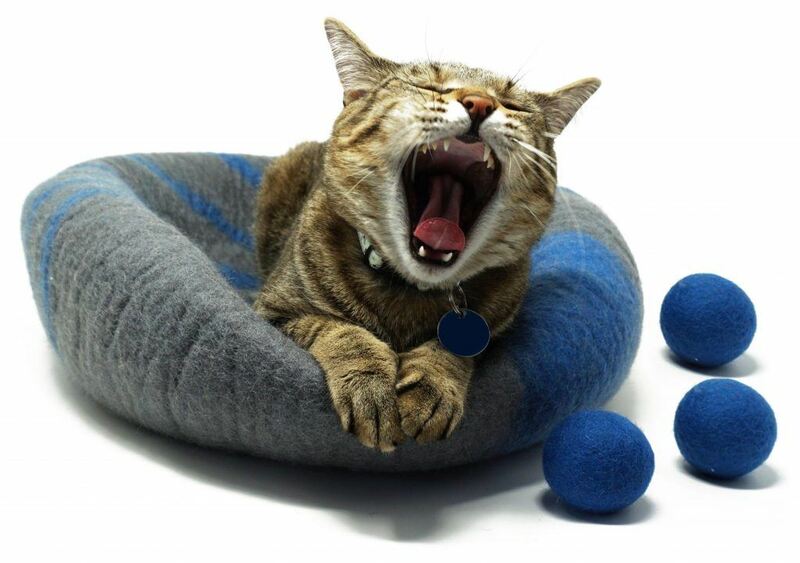 The durable, carpet-like surface is made from woven sisal fiber, providing years of use for your cat. Its neutral colors will also look great with any decor. Some assembly is required but it's quite easy. Just use the included screws to fasten the base to the post. Of all the scratching posts reviewed, this one is the best in our opinion. It's a solid, durable product that’s worth every penny. At 24 inches tall with a 15-1/2 -inch square base, this post gets the job done. At 5 lbs, it’s on the light side, although your cat’s weight will help keep it pinned down. The post is wrapped in wound sisal, and has a plush, dark gray base. With a small diameter post, your cat won’t be able to perch on it, but it does provide a viable scratching alternative to your furniture. This product requires simple assembly; just bolt the base to the post with a single bolt. A decent product overall. This scratching post is about 24 inches tall and weighs just under 5 lbs. This model provides a wall-mounting system that the manufacturer claims is easy to set up. Designed for placement where your cat is already scratching, it is wrapped in woven sisal rather than wound; this makes the scratching surface much more durable. The scratching post also has rubber feet to prevent slipping. While no assembly is required to use it, wall mounting requires you to drill a hole in the wall and install a screw to mount the scratching post. If you don’t want to drill a hole in your wall, you may want to look for another alternative. 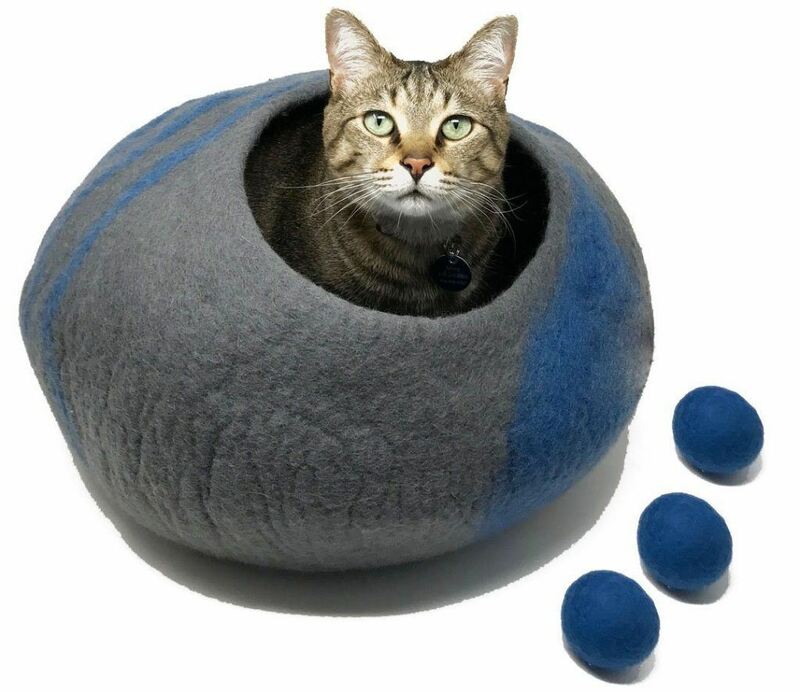 A little taller than most at 26 inches, with a base just over 16 inches square, this is a good-sized post for your cat. Weighing a little over 6-½ lbs, it’s a little light, but the large base has plenty of room for your cat to help prevent tipping. The post is wrapped in wound sisal making it a little less durable than posts wrapped in woven sisal. The base is covered in stylish fabrics, half plush and half smooth. This cat post features a hanging cat toy for your cat’s enjoyment. This scratching post requires some assembly; just screw the base to the post with the included screw and washer. At 32 inches tall, it matches the height of the first scratching post in our review lineup. This scratching post has a large, square base for stability, with both the base and the post wrapped in real carpet instead of sisal. This is an environmentally responsible product and it is manufactured in the United States. Some assembly may be required, but it's pretty easy as it just involves screwing it together! Cats and owners benefit in several ways from having a cat scratching post. 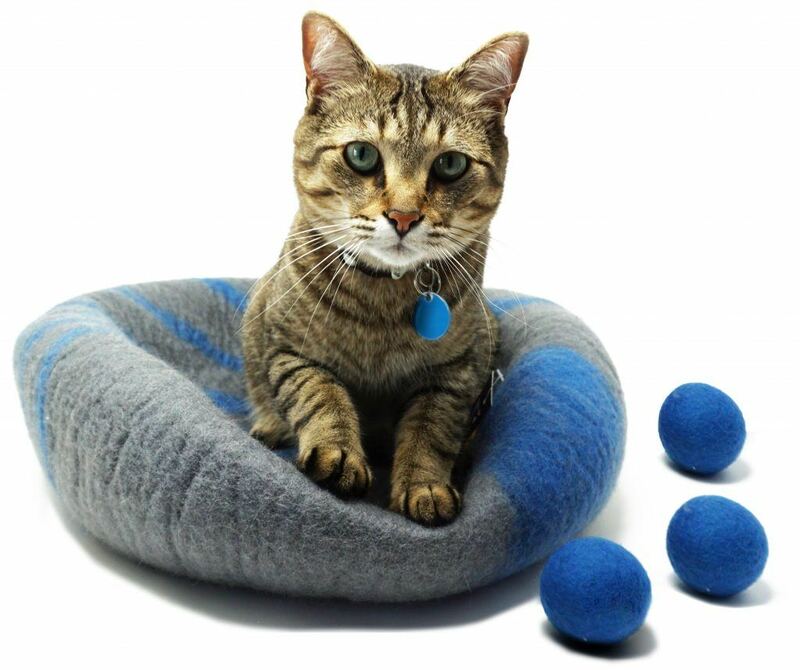 It helps your cat maintain sharp, healthy claws while getting much-needed exercise. A cat scratching post also provides a place for your cat to mark as its own. If you have multiple cats, it gives them a place to gather and hang out. Finally, a cat scratching post provides an approved place for your cat to scratch to its heart’s content. After carefully reviewing what makes the best scratching posts for cats, we recommended the Pioneer Pet SmartCat Ultimate Scratching Post. This cat scratching post will provide you with years of worry-free durability. Let your cat get scratch happy by ordering one today!